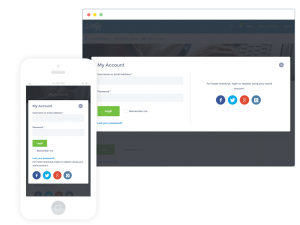 Creating an account with Parties2Weddings is easy, simple and offers many benefits to both party & wedding suppliers and users. 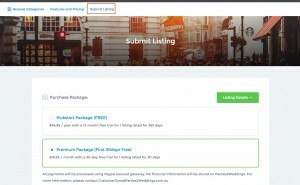 Business owners, can now create profile using our simple 3-step interface to reach millions of customers throughout australia. Customers can signup and avail many benefits, from easy & sleek mobile-friendly navigation, pictures, ratings & reviews, coupons, save your favourite suppliers and buying from your favourite vendors from the comfort of your lounge. 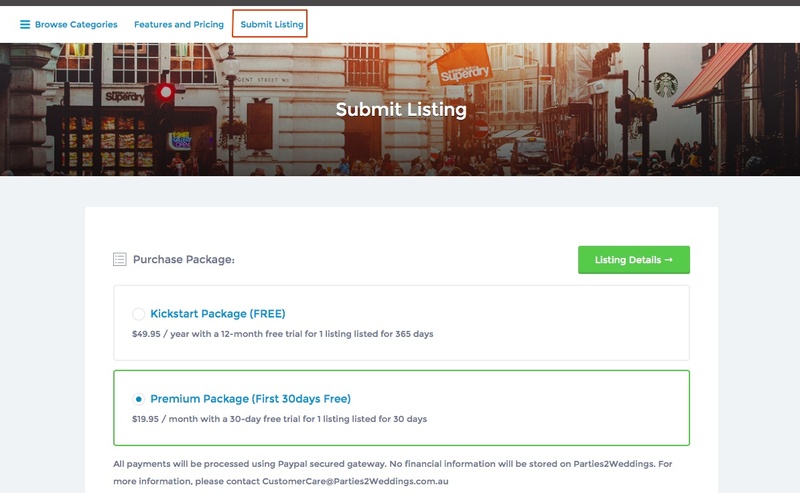 Submitting a listing has never been easier and using Parties2Weddings is super simple, build your profile, photos, social links, ratings & reviews, promotions, operating timings and many more features and all from your mobile phone. Even we have made simple entering your address using Geo-location, using Google Places where it will auto complete the listing address. As a business owner, you can manage the store using self-managed interface, check your billing, edit your profile, update your photos etc at your finger tips. Note: All payments will be processed using secure paypal and we store no financial information on our site. Premium service is suitable for small, medium and large businesses providing exceptional value to reach & engage your customers. 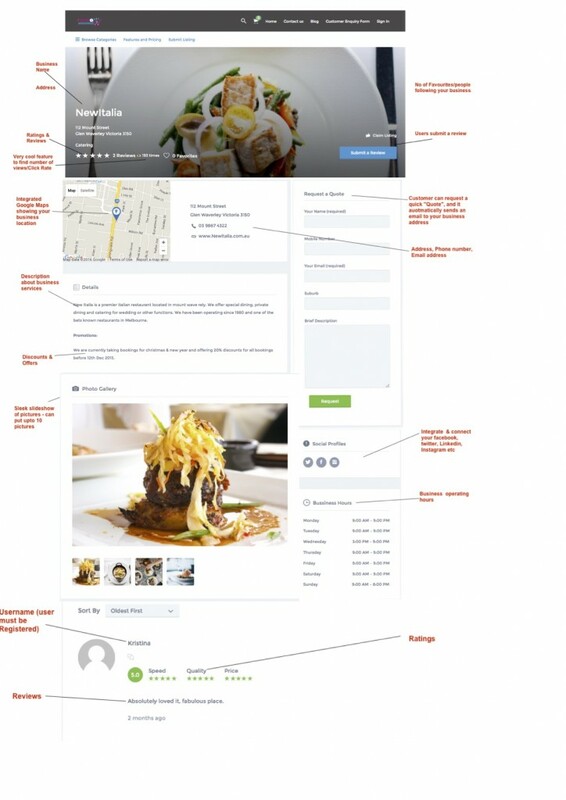 Customer’s can browse for high quality pictures, read & submit ratings & reviews, send a quote-request using one-click feature; integrate Facebook, Twitter, Instagram etc to ability to check business operating hours. 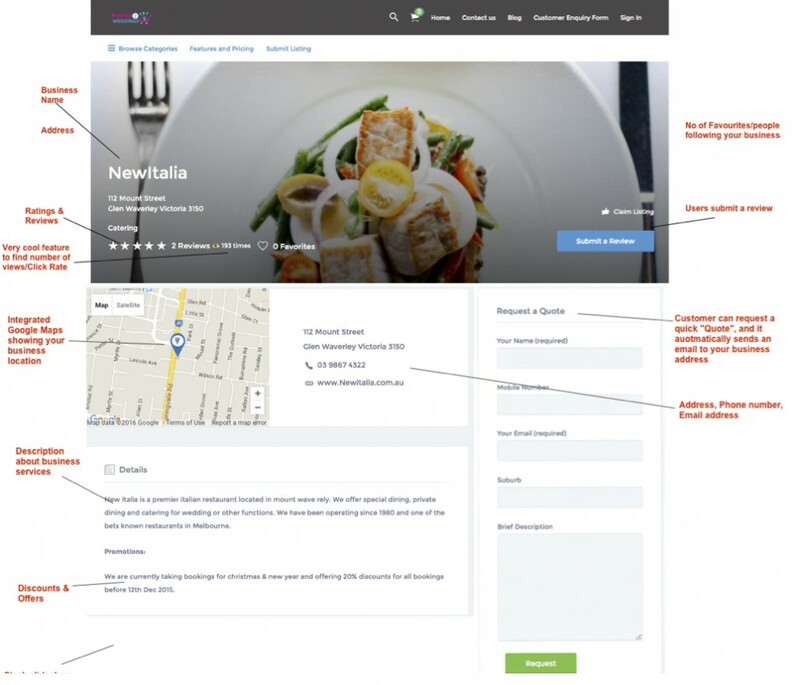 Business owners can check number of clicks/page-views easily and manage their content using self-managed interface. Kickstart package is to help starters & freelancers to launch their business & reach their customers. Customers can browse for business & description and can submit a request of quote using simple one-click feature. Let us be honest, our No.1 goal is to take your business directly to the customer and we are constantly re-inventing to bring best value to both our business customers and end-user consumers. That’s what we are doing with Parties2Weddings.